Ali Larijani said the solution to the scourge of terrorism lies in regional cooperation and support by Muslim states for the Iraqi government. 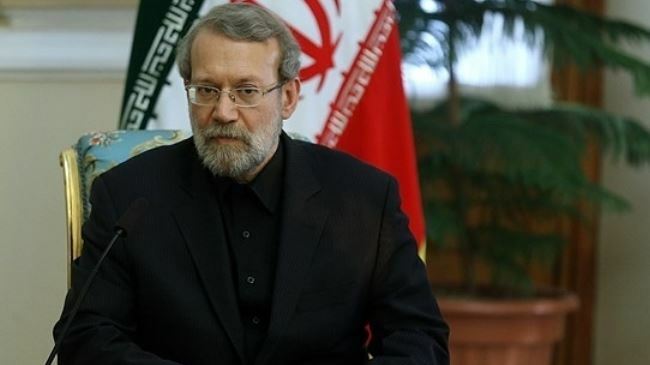 Iran’s Parliament Speaker Ali Larijani has criticized certain regional countries for implicitly backing terrorist groups, saying their support has led to the spread of terrorism. Speaking in the Iraqi holy city of Najaf on Tuesday, Larijani said some countries in the region, however, have sided with the Iraqi people and expressed their opposition to terrorist groups. “That many regional countries have realized the region’s sensitivities and the danger of terrorism over the past year is a step forward,” the Iranian parliament speaker said. However, he called for more consultation among regional states on the issue of terrorism. He also said that the main solution to the scourge of terrorism is collective cooperation and the support of Muslim states for the Iraqi government. Larijani, who arrived in Iraq on the last leg of a regional three-country tour early Tuesday, noted that his trip is aimed at exchanging views with the senior officials of the country on expansion of Tehran-Baghdad relations and developments in the Middle East, particularly terrorism. On Sunday the Iranian parliament speaker kicked off his regional tour which has already taken him to Syria and Lebanon.